Camp in the shadows of 250-year-old locust and walnut trees in Virginia's beautiful Shenandoah Valley. Originally a plantation property, the 43-acre Walnut Hills Campground and RV Park is steeped in history yet offers all the modern conveniences. 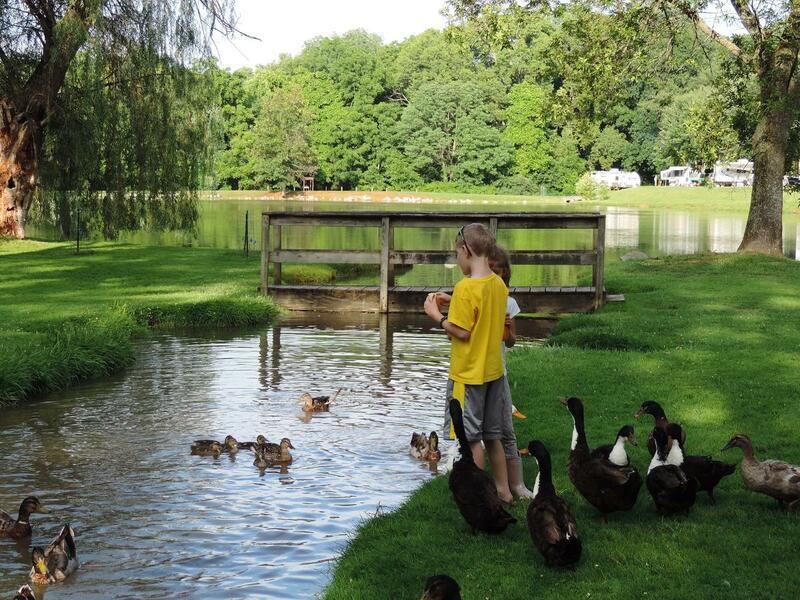 Kids can fish in the stocked pond, play in the game room or swim in the pool. Visit nearby attractions, such as Woodrow Wilson Birthplace, New Market Battlefield State Historical Park, Monticello, Natural Bridge, Blue Ridge Parkway and Skyline Drive, Frontier Culture Museum and countless antique shops and flea markets. At our park, have fun with hayrides, planned activities and much more.